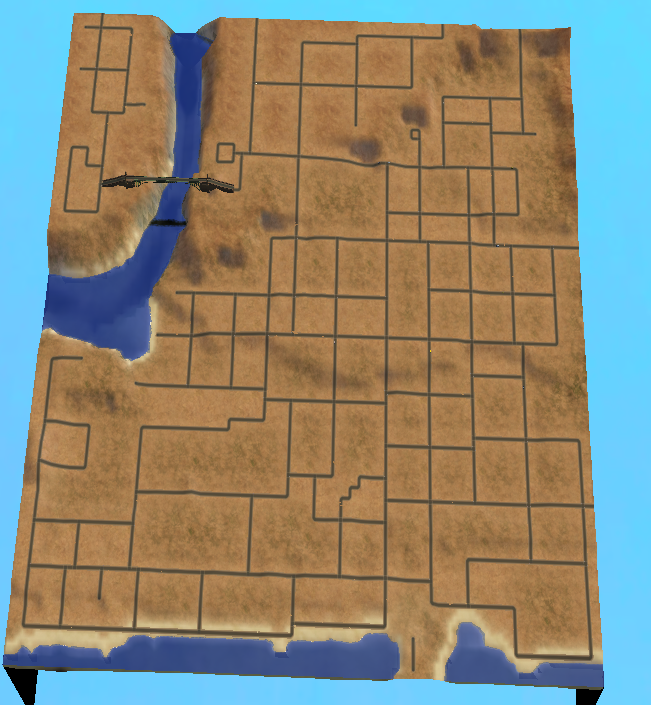 That's right, a whole megahood on a single map! I always felt the description of each little world as a separate neighbourhood to be rather misleading. They seemed to me more like isolated villages, each in the middle of nowhere. I loved the idea that they are all part of one continuous city, and I began to ponder how they might fit together. 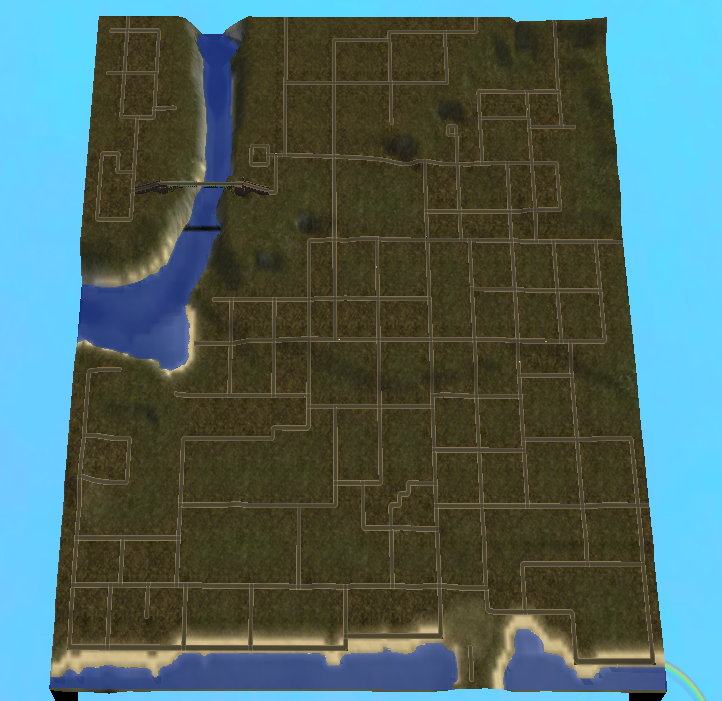 So by removing much of the empty countryside I was able to fit the lots and streets of multiple neighbourhoods onto a single map. And so I present to you my Megahood City! 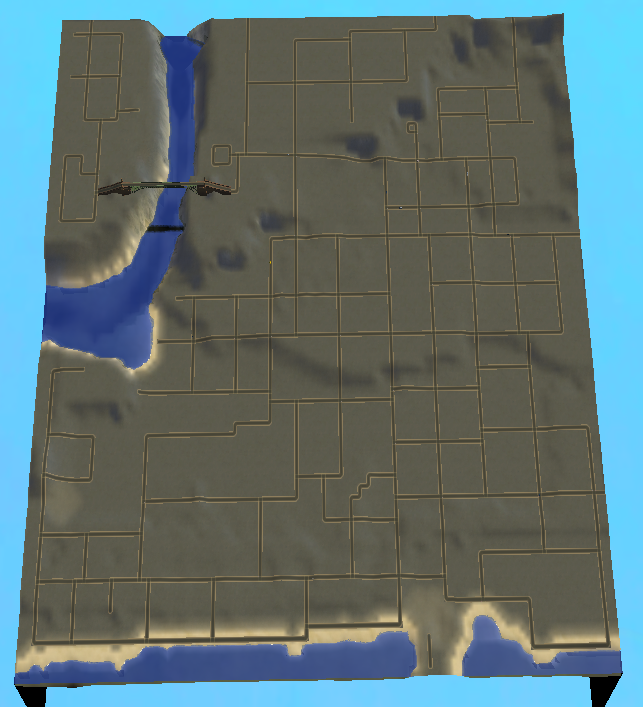 Update 1: I realised that in the version I initially uploaded it was impossible to place beach lots along the coast of Desiderata Valley, because it was too near the edge of the map. I've pulled the road back slightly and it should work fine now. Apologies to anyone this has inconvenienced! Please re-download for the corrected version! This is a completely empty (I think) main neighborhood, with no subhoods, stealth hoods, townies or anything else attached, so your own versions of these should all be added automatically. 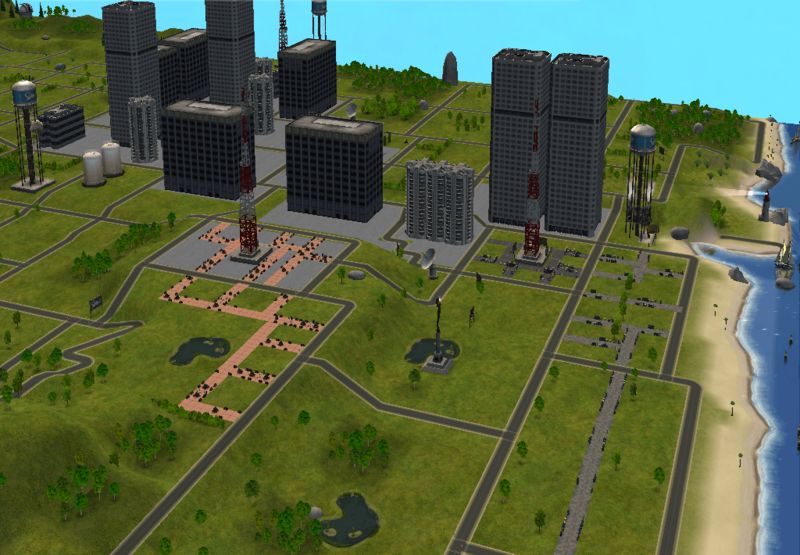 Downtown and Belladonna form the urban centre. 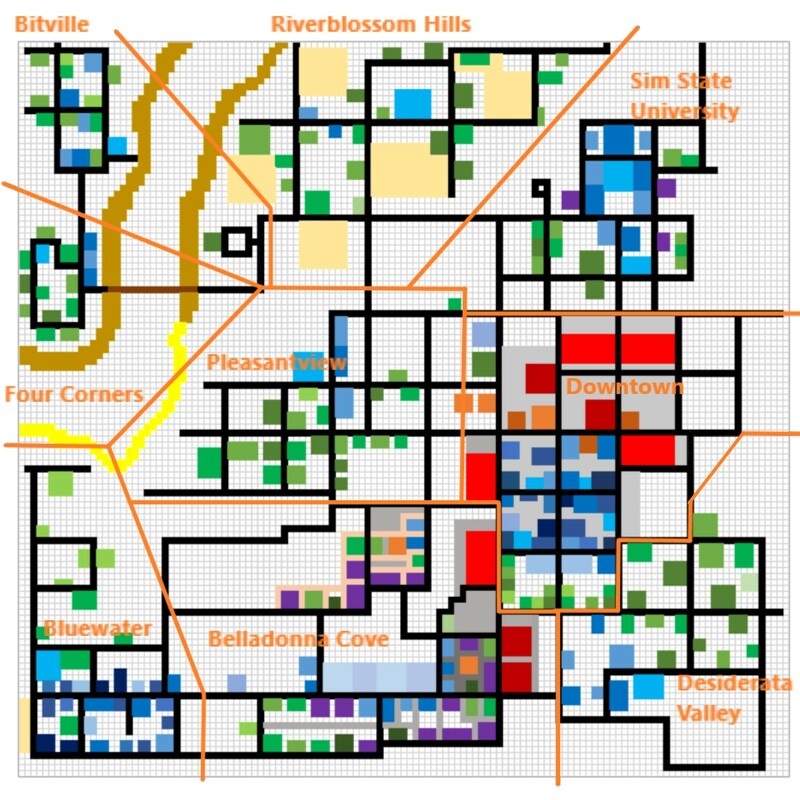 Pleasantview and Desiderata are immediately adjacent suburbs. The university campus is near enough to the centre to let the students have an easy social life. Bluewater still feels like a genuine shopping village just down the coast, while Riverblossom, Four Corners and Bitville are villages in the hills for commuters or those wanting a quieter life. Everything is decorated, with the character of each neighborhood preserved by variations in the decoration style, rather than by geographical isolation. I haven't started transferring all the lots, or recreating the occupied ones, as uploading something like that would be too big a project for me right now. If you do this yourself you should find that with no (or very minimal) moving of decorations all the lots from the original 'hoods can fit in. Obviously don't move occupied houses between neighbourhoods or you'll corrupt everything! And there's several extra roads for you to put your own lots on. If you want to use the university as a university, you will need mods to allow young adults to stay in normal neighbourhoods whilst studying. 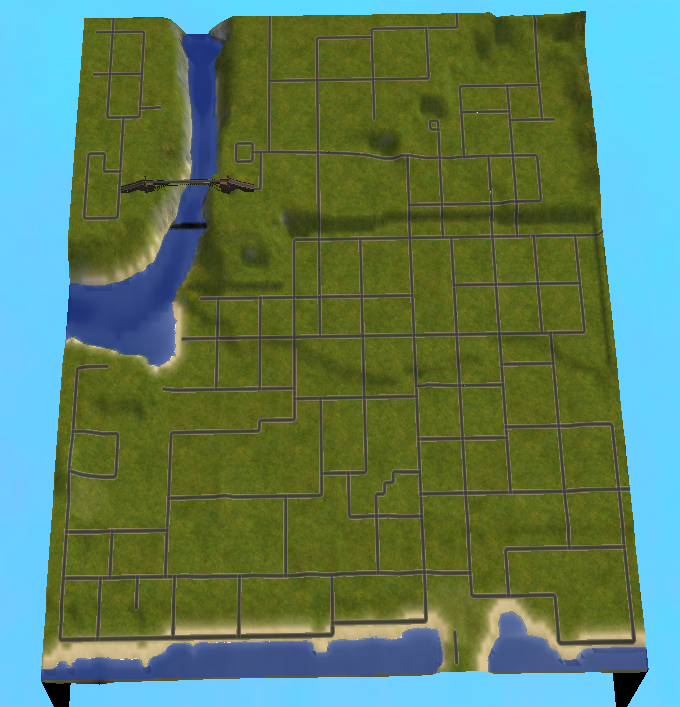 The road network is basically exactly as Maxis gave it to us, so should be fully usable, with a couple of extra blocks and connecting roads. In order to squeeze this much in I had to cut the fringes off some suburbs, but very little of substance has been lost. Riverblossom Hills has been squashed slightly. And if you try to fully recreate the original 'hoods a few lots will need slightly relocating, namely; two of the little white houses in Pleasantview, the Tricou home, Hunter's Park in Bluewater, a house with a pond in Desiderata, and the row of community lots in Four Corners. But that's it! I think that once unpacked this should go into your Neighborhoods folder without any problem, with a unique neighborhood number. 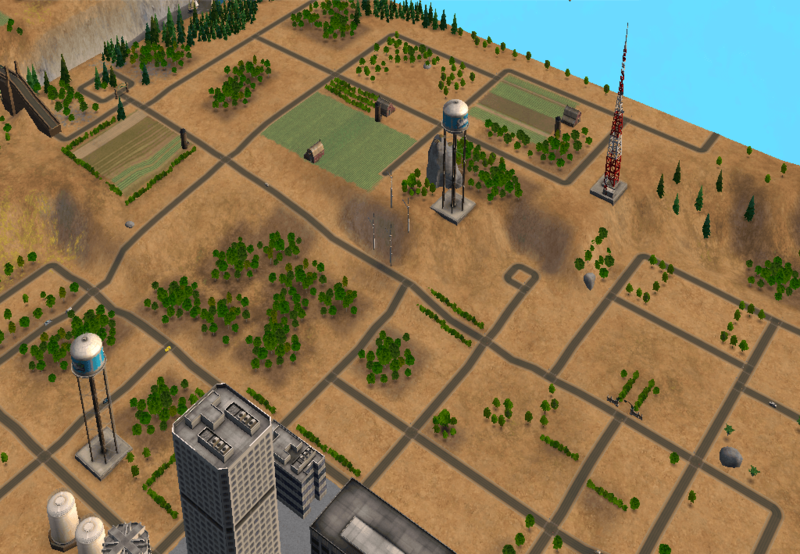 I had intended to provide the SC4 file but I had to do so much remodeling with the modifyNeighborhoodTerrain cheat in Sims 2 that the SC4 file I began with would be almost no use to you, being little more than the road layout on very rough terrain. But if there's interest in it, I could provide it. 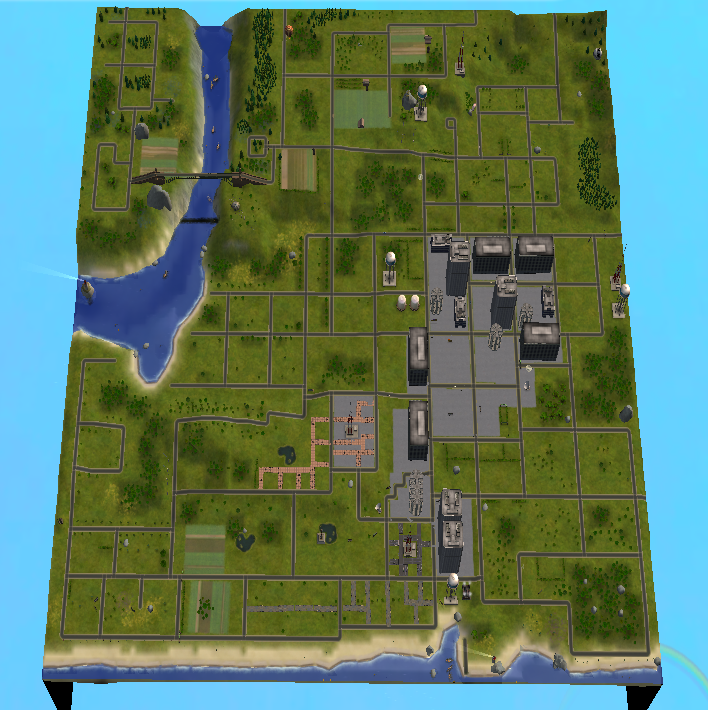 If anyone does transfer all the original lots and recreate the sims (and the game copes with it! 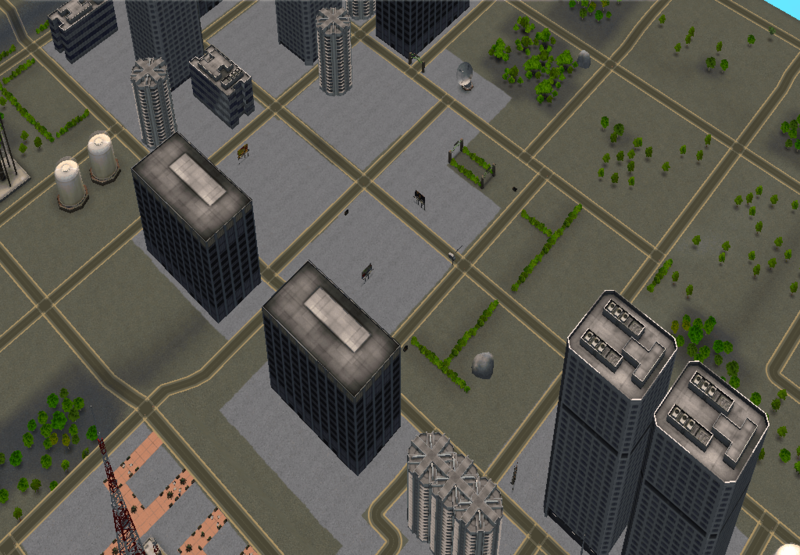 ), or indeed uses this city in any other way; for legacies or build-a-city challenges or whatever, please let me know. I'd love to see how this gets used! 3. Please note this does not go in the Downloads folder! Or wherever you have your neighborhoods.